While you still have snow in your area, give this a try! Ask your kids what they think will happen when you put crayons in the snow. I expect most will excitedly guess: “The snow will turn colors!” Place a mix of crayons (without paper wrappers) in the snow. 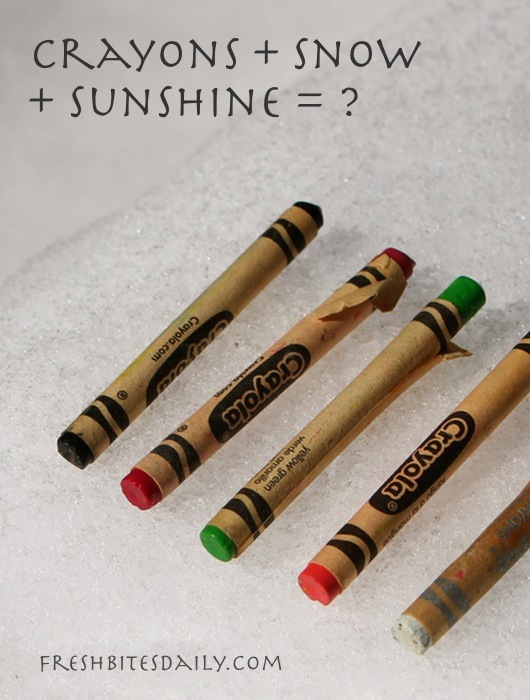 Be sure to include a black and a white crayon and simply lay them on top of the snow in a sunny spot. Give it a few hours to reach any conclusions. This is simple and fun. Watch the video for our results.